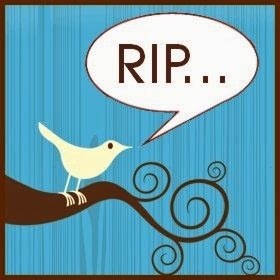 Twitter explodes with messages of regret and condolence. People are eager to voice their feelings on the passing of Bob Hoskins, Peaches Geldoff, Philip Seymour Hoffman; people whose presence in their lives were all but intangible. They were merely faces on a screen, voices in the media ether. Yet in an age where so much of our interaction with one another depends on the presence of an internet connection it is hardly surprising that we want to believe in our own lasting personal connections to these people. Inevitably though, there are those who are quick to judge us for voicing our sadness, those who believe these expressions of regret are a reminder of how oblivious we are to real suffering. Deaths occur every day as a result of war, famine, political and religious oppression, yet we choose only to mention the names of a few celebrities whose privileged lifestyles may have been the very cause of their untimely demise. To make this argument is to lack appreciation for human beings’ struggle to process death. It is the great unknown of our existence. As mankind becomes more and more obsessed with medical technology and the ability to prolong life, death becomes synonymous with defeat and therefore ever more difficult to confront with any kind of honesty. The collective cry of the masses on Twitter is a desire for death to be acknowledged in a society in which there are limited outlets to confront death in healthy ways. Jacques Derrida emphasised the significance of naming the dead in his Memoires of Paul de Man: ‘a “true mourning” (if such there be) is the essence of the proper name’ (48). To elaborate, ‘the proper name remains’, though ‘the bearer of the name... will never again answer to it’ (48). A name trending on Twitter may in fact be the most honest and simple response to death in contemporary culture. It doesn’t matter that the words become hollow, empty; in fact, that’s the point. The name is all that remains and it’s this of which we’re poignantly aware.